Iranian Foreign Minister says that if the U.S. withdraws from 2015 agreement, so will Iran. Iranian Foreign Minister Mohammad Javad Zarif said on Tuesday that if the United States withdraws from the 2015 nuclear deal, his country will likely do so as well. 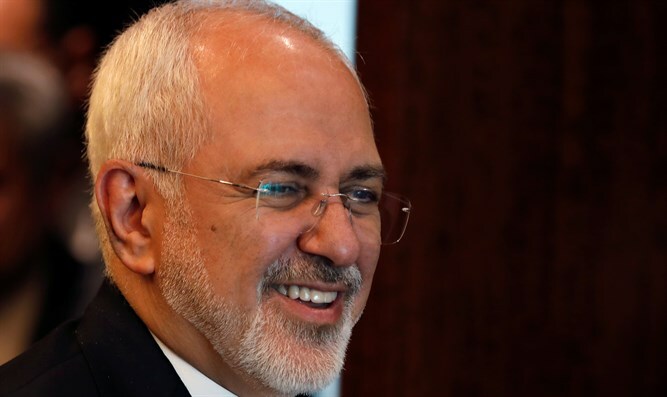 In an interview with The Associated Press, Zarif also asserted that a U.S. withdrawal from the nuclear deal would undermine its talks with North Korea by proving that America reneges on its promises. The Iranian minister said that, if the U.S. withdraws from the agreement, his country would no longer be bound by international obligations imposed as part of the accord, freeing up Iran to resume enrichment far beyond the deal's strict limits. He added that any move by President Donald Trump to re-impose sanctions lifted under the deal would "amount to basically killing the deal." "If the United States were to withdraw from the nuclear deal, the immediate consequence in all likelihood would be that Iran would reciprocate and withdraw," Zarif told AP, adding, "There won't be any deal for Iran to stay in." As Trump prepares for a high-stakes summit with North Korean leader Kim Jong Un aimed at resolving nuclear weapons concerns, Zarif emphasized that U.S. credibility was at stake. He said Iran would welcome lower tensions on the Korean Peninsula, but that Trump was showing the world that the U.S. is "not a trustworthy, reliable negotiating partner." "They're prepared to take everything that you've given, then renege on the promises that they have made in the deal," Zarif said. "That makes the United States a rather unlikely partner in any international agreement." Trump, who has blasted the 2015 nuclear deal as “the worst deal ever negotiated”, in January decided to extend a waiver on nuclear sanctions that were imposed on Iran. However, he made clear it was the last time he would extend the waiver and has given the European signatories a May 12 deadline to “fix the terrible flaws” of the deal. Zarif and other Iranian leaders have warned Trump not to withdraw from the deal. Last week, the Iranian Foreign Minister warned the United States there would be “unpleasant” consequences if it pulls out of the 2015 agreement. Earlier on Tuesday, Trump met at the White House with French President Emmanuel Macron, who has been leading an effort by France, Britain and Germany to find those "fixes" to the deal that would satisfy Trump's objections. "No one knows what I'm going to do on the 12th, although Mr. President, you have a pretty good idea," Trump told Macro at Tuesday's meeting, adding that if he does withdraw, he would look to see "if it will be possible to do a new deal with solid foundations, because this is a deal with decayed foundations." In a warning to Tehran, Trump added that if Iran ever threatens the United States, "they will pay a price like few countries have ever paid." In Tuesday's interview, Zarif suggested that those concerned that Tehran was racing toward a bomb would have much more to fear if it were no longer bound by limits on its enrichment and processing. "It would be a completely different situation, from the perspective of those who made a lot of noise about Iran's nuclear program to begin with," he told AP. He also pointed out that if Trump upends the nuclear deal, Iran could also choose to leave the global Nuclear Non-Proliferation Treaty, which is aimed at stopping the spread of nuclear weapons. Iran signed that treaty decades ago, and though Zarif said Iran's government isn't advocating an exit, it is "one of the options that is being advocated by some" in Iran.